It was late at night but the new Terminal 3 at Soekarno-Hatta International Airport outside Jakarta was still bustling with families and friends waiting for their loved ones returning from abroad. My friend Noor Huda Ismail was just arriving from Singapore, and I decided to pick him up and discuss ‘certain issues’ with him in the car, on the way to the capital. Lately he and I were busy, awfully busy, and a one-hour journey seemed to be the most appropriate setting for the exchange of at least some essential ideas and information. Huda could easily pass for the most knowledgeable Indonesian “expert on terrorism”; a Muslim man who grew up and was educated in the madrasahs that have produced some of the most notorious jihadi cadres in the country. Later he became the man who managed to ‘get away’ from the extremism, to study, and to finally become a respected filmmaker and a thinker. For years, both of us have been studying a complex web produced by Western imperialism – a web, which has literally destroyed entire countries, while locking other ones ‘behind bars’, in virtual neo-colonialist slavery. All this done in the name of ‘freedom’ and democracy, naturally, and often using various religions as tools, even as weapons. Inside the car we managed to quickly ‘compare notes’. Huda filled me in on his groundbreaking film ‘Jihad Selfie’, while I informed him about my political revolutionary novel ‘Aurora’, and my big work in progress, a book about Afghanistan. I also mentioned my future ‘Afghan’ film, a dark love story, a drama about betrayal, collaboration and the virtual collapse of one family; a film which I’m preparing to produce and direct sometime during the next year. I knew about it; I knew something, but not everything. The fact that both Indonesian and Malaysian citizens went to fight against the Soviet Union, Karmal, and then Mohammad Najibullah’s government in Afghanistan, was something that I have never yet addressed in my books or films. Now I suddenly felt that it was important, extremely important, to address this fact. 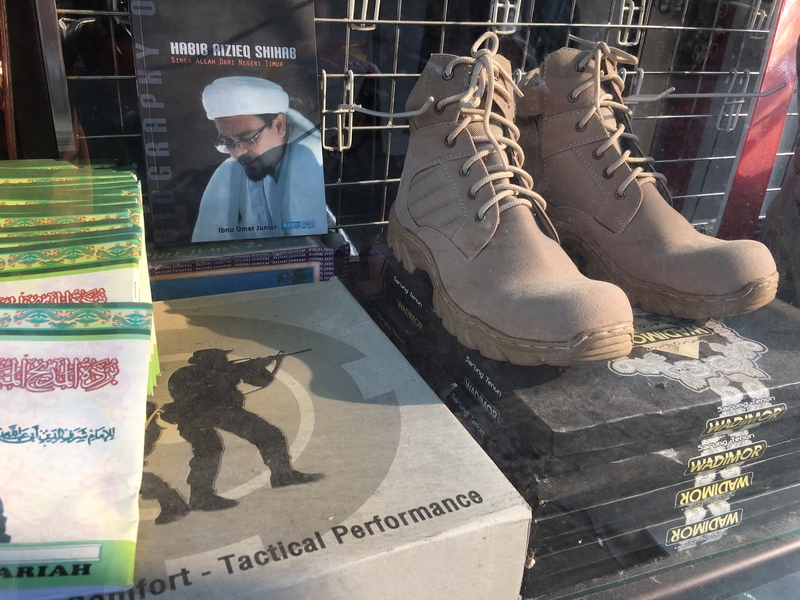 Could I meet one of the Afghan ‘alumni’ here in Jakarta? 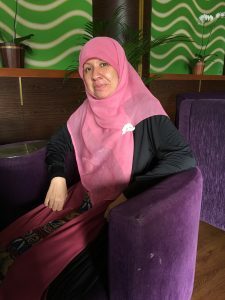 Before an encounter with an “Afghan” jihadi cadre, I traveled to the city of Bandung, where I met Iman Soleh, a professor at the Faculty of Social and Political Science (University of Padjadjaran- UNPAD). He is yet another renowned authority on ‘terrorism’. 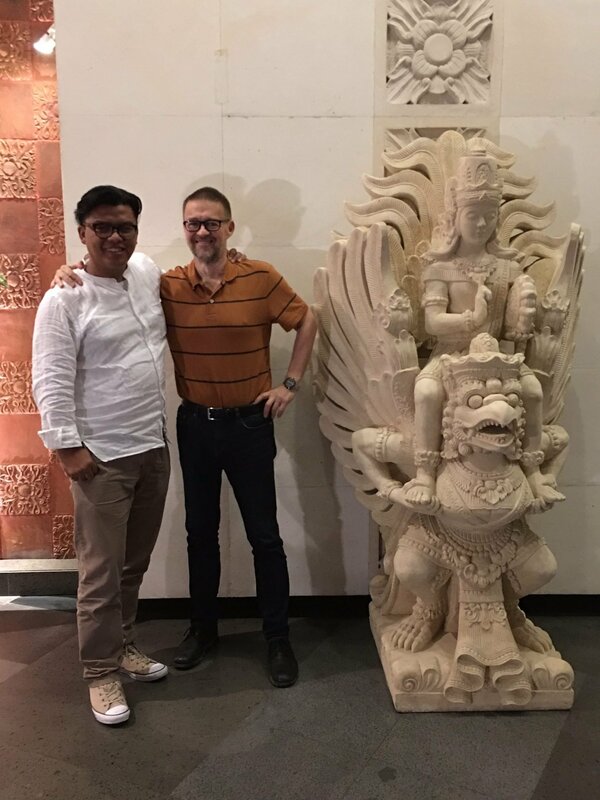 He came to my hotel, accompanied by his wife, Professor Antik Bintari, a conflict management expert who teaches at the same university. 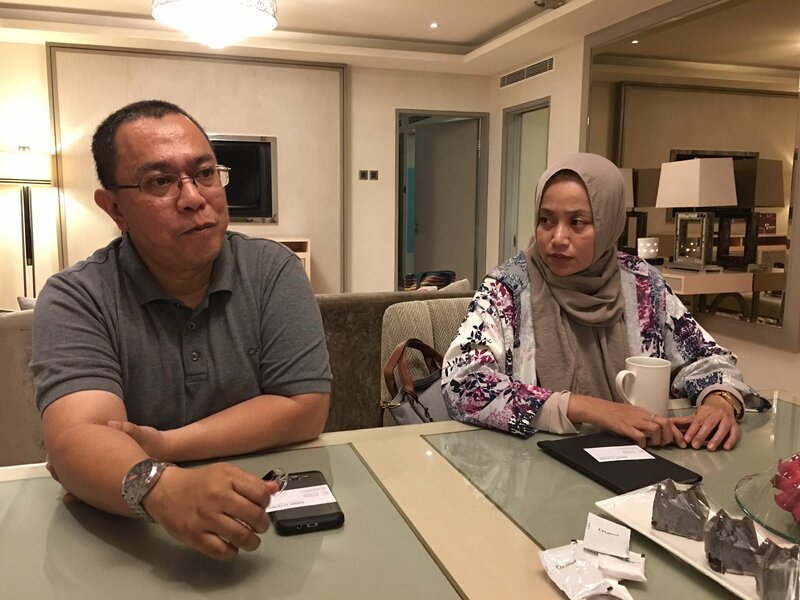 For quite some time, professor Iman Soleh and I discussed the link between the ‘old guard’ Southeast Asian (mainly Indonesians and Malaysians) jihadi cadres, so-called ‘Afghan alumni’, and the vanguard, a ‘new wave’, that which is now trying to destabilize, even destroy both Syria and the Philippines. 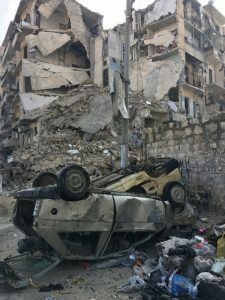 While the name ‘jihad’ itself has been used habitually and ‘liberally’ all over the Western mainstream media, it was clear to all of us at the table that behind the brutal combat as well as most of the horrors unleashed in such places like Syria and Philippines, hidden are the geopolitical interests of the West in general and of the United States in particular. Therefore, following the imperialist logic, the Philippines have to be attacked and destabilized, as has already been done to Syria. Defiance is punishable by death. And how else other than through the most effective weapons which the West has been utilizing for years and decades: extremist religious terrorist groups. What better assembly of fighters to choose for that difficult task than the jihadists from the groups that had already proven to be so effective and lethal in places such as Afghanistan? And President Duterte is committing an ‘unpardonable crime’ in the eyes of Washington and London, by trying to resolve the territorial conflict with China, as quickly and efficiently as possible. The Indonesian jihadi, Salafi group Darul Islam, fought for a caliphate and against the secular and socialist state headed by President Sukarno, in the 1950’s and well into the 1960’s. “Terror is halal”, they used to say. 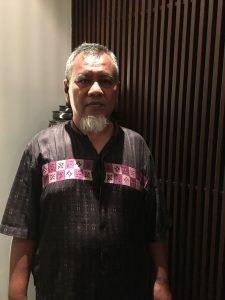 Komando Jihad later transformed into a transnational Southeast Asian group Jamaah Islamiyah (with its spiritual leader Abu Bakar Bashir). The group has been maintaining active links and cooperation with al-Qaeda and the Moro Islamic Liberation Front in the Philippines, to name just two religious guerrillas. “Again, according to my Indonesian intelligence sources, the ‘departure’ itself of the Indonesian jihadists for Afghanistan was also directly helped by the U.S., under the cover of ‘Islamic study groups’ and other ‘communities’, and the route that was utilized was: Indonesia – Malaysia – Philippines – Afghanistan”. These are not well-publicized facts, but they should not surprise anyone familiar with Indonesian history: after the brutal 1965 U.S.-sponsored military/religious coup, Indonesia rapidly transformed itself from an anti-imperialist, internationalist and progressive country into the closest Western ally in the entire Southeast Asia. The main ‘ideology’ of the new fascist pro-Western regime of General Suharto became “anti-Communism”. For months and years, the Communists as well as alleged ‘Communists’were slaughtered all over the archipelago, while Communist ideology was banned, as were the Chinese language and culture, including dragons and cakes. The anti-Communist propaganda became the main sample of the ‘intellectual’ diet. The fourth most populous country on Earth went through a total reset, became one of the most ‘religious’ places on Earth, and soon after collapsed both socially and intellectually. 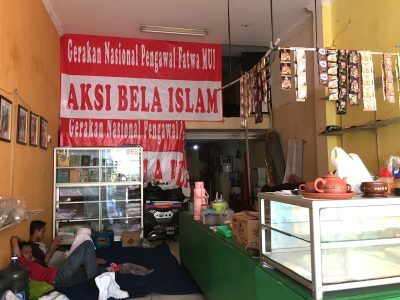 Allegations of “atheism” against the Communists were used in Indonesia in order to stir and radicalize thousands of potential and already existing jihadi cadres. Anti-atheism, even anti-secularism, became the rallying cry of those who were ready to sacrifice their lives for the ultimate goal and dream -a caliphate. The West in Afghanistan played the same ‘game’, during the “Soviet era”, as it did in Indonesia after 1965, and elsewhere. It is clear and obvious that the imperialist scheme designed in Washington and London has been interchangeable and successfully applicable in many different geographical locations. “The biggest mistake the Soviet Union made here was to attack religion outrightly. If they’d first stuck to equal rights, and slowly worked it up towards the contradictions of religion, it could perhaps have worked… But they began blaming religion for our backwardness, in fact for everything. Or at least this is how it was interpreted by the coalition of their enemies, and of course by the West. In reality, the West has always been using(and finally it has managed to divert) Islam. Some great Muslim scholars, including those that I met in Tehran,a ctually believe that Washington, London, Paris and other centers of the Western imperialism and neo-colonialism, actually succeeded, in many parts of the world,to create a totally new and (to many true and intellectual Muslims) unrecognizable religion. Indonesian jihadi cadres hardened in Afghanistan and trained by the Pakistanis eventually returned to their country. There, they went to “work”, participating in such bloodlettings and killings as those in Ambon (Maluku) and Poso (Sulawesi). In Ambon the conflict continued from 1999 to 2002, and while it lasted, allegedly 8,000 people died, while thousands belonging to both sexes were involuntarily and brutally circumcised and genitally mutilated. In Ambon, I saw the jihadi cadres in action, hacking to death a young innocent boy, right in front of the eyes of a cheering crowd of onlookers. I later described the horror of this incident in my novel “Point of No Return”. “Poso and Ambon, that’s the “Afghani Link”. During those massacres, there were still some ‘old jihadists’ from the Afghan days, participating in the actual fighting. However, there were also some ‘fresh’ fighters there, many of them undergoing exercises with the Indonesian ‘Afghans’. Poso and Ambon conflicts were in fact serving as two training grounds. After that, a new generation of combatants had risen”. That same night – very late at night – after driving for hours on hopelessly congested highway that connects the cities of Bandung and Jakarta, I met Mr. Farihin, an active member of the outlawed “JI” (Jamaah Islamiyah), a man who personally met Osama bin Laden, a warrior who fought in Paktia and other provinces in Afghanistan, a former Mujahideen, an unapologetic jihadist. I was longing to know, to understand, how the old ‘Afghan alumni’ were thinking, how they saw the world, and what their goals were. His hatred for Communism knew no boundaries; it was epic. He dreamed, he ‘saw’ Communists everywhere, all over the world: in Syria, in the present-day Russia, even in Karzai’s and Ghani’s Afghanistan. Anything remotely secular, anything that was not a caliphate, was “Communist” in his simple but determined mind of a combatant. Mr. Farihin came to Afghanistan in 1987. After his group NII (Negara Islam Indonesia – Islamic State of Indonesia) received ‘an invitation’ from Mujahedeen. What prompted him to go to Afghanistan? I quickly noticed that Mr. Farihin was not proud of the support his group and Mujahideen in general were receiving from the United States and the rest of the West. He kept repeating that he did not “see” any direct U.S. support, that supplies just kept coming from Qatar, Saudi Arabia, Kuwait and other Muslim countries. For him, it was essential that his fight in Afghanistan would be seen as a ‘pure’, pan-Islamic struggle. I was not there to contradict him, I was there to listen. “I was rotating between the fronts. The war, the battles were ‘orderly’”. “But what was the goal?” I asked. He didn’t hesitate one single moment. How much did he know about the Communism? I wondered whether they knew anything about the improving medical system, about the all of a sudden decent education, about public housing, transportation, and culture? I asked him how he sees Afghanistan now. For a moment I thought that I had misunderstood: the Afghanistan government is Communist? Doesn’t he know anything about the U.S., about the Western occupation? Being Shi’a is an arch crime in today’s Indonesia. People are getting killed, ostracized, and intimidated for being Shi’a. I witnessed it once, on the island of Madura. And what was their fee? Certainly jihad is not fought for free? The lowest pay was then US$150 per month, a lot of money in poor Indonesia, in the late 1980’s. Between US$300 and US$400 for the officers. We didn’t embrace. By then he sensed that we belonged to the opposite sides of the barricade, and that most likely we were arch enemies. But until we parted, both of us remained polite, excessively polite: the Afghan way. “Like in Afghanistan,” I add. Jihadi Express is now rolling, gaining speed. One country after another is being shred to pieces under its merciless wheels. Those who think that it is “all about oil” are mistaken. The West is of course trying to control, fully and brutally, all that moves in the Middle East, North Africa and as far as Iran and Afghanistan. But that’s definitely not all: jihadi groups, created by the West and its allies in the Gulf, have been used to destabilize the two greatest adversaries of the West: Russia and China. Soviet Union was tricked into Afghanistan in 1979, and then brutally destroyed. 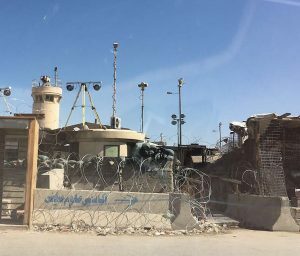 Afghanistan itself was ‘sacrificed’ in the process, its social structures broken, and all hope its people were enjoying, choked. China is now also greatly suffering from the operations of several Muslim terrorist groups, as well as from other religious implants, which are without exception supported by the West. The Philippines is most likely the next ‘front’. It has been for years and decades, in Sulu and elsewhere, but as this report goes to print, things are deteriorating, getting more and more desperate there. To fight terrorism in such places like Syria and Afghanistan, has been and will be increasingly, one of the main foreign policy goals of both Moscow and Beijing; in order to help those countries under siege, but also in order to prevent them from becoming the training grounds of the ‘anti-Communist’ and anti-secularist terrorist armies. Andre Vltchek is a philosopher, novelist, filmmaker and investigative journalist. He has covered wars and conflicts in dozens of countries. Three of his latest books are revolutionary novel “Aurora” and two bestselling works of political non-fiction: “Exposing Lies Of The Empire” and “Fighting Against Western Imperialism”. View his other books here. Andre is making films for teleSUR and Al-Mayadeen. Watch Rwanda Gambit, his groundbreaking documentary about Rwanda and DRCongo. After having lived in Latin America, Africa and Oceania, Vltchek presently resides in East Asia and the Middle East, and continues to work around the world. He can be reached through his website and his Twitter.